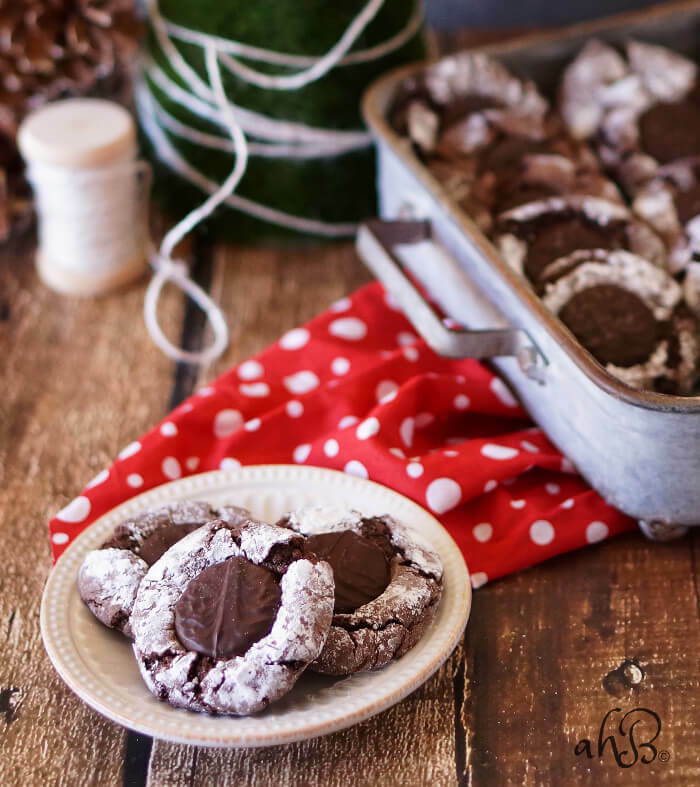 Mint middle fudge crinkles are soft and fudgy chocolate cookies that have a cool and creamy chocolate mint center. It’s cookie and candy together in a wonderfully easy to make cookie. It’s the bus, busiest time of the year! 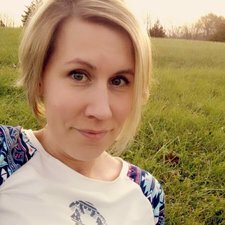 There’ll be much schedule shifting and last minute gifting, but be of good cheer! I’ve been so busy that it’s been a little hard for me to get into the holiday mood. Last night, my youngest son took it upon himself to set up all the Christmas decorations he could find, because there wasn’t a single one out yet. I was actually really thankful he dug them all out, because my husband had moved a file cabinet in front of where I store the decorations and I couldn’t fit back there to get them! Skinny 8 year old to the rescue. 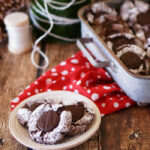 These mint middle fudge crinkles are one of my favorite Christmas cookies. This cookie was my first addition to my family’s holiday baking traditions and it’s one my kids look forward to every year. 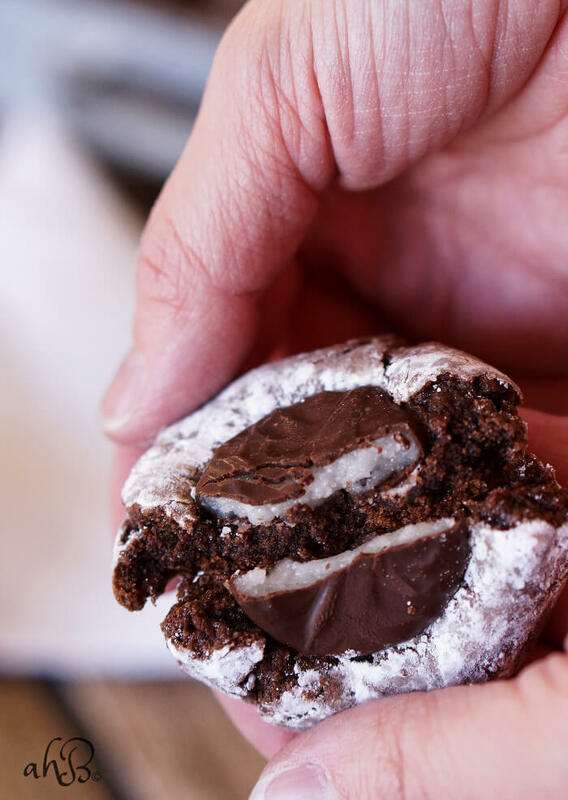 As soon as they see the thin mints out with the holiday candy they start asking when we’ll make some mint middle fudge crinkles. And this recipe is a great one to make with kids because the steps are easy and fun. The cookie dough is rolled into balls and then through powdered sugar before baking. After baking each cookie has a mint pressed into the center. Speaking of the mints, I usually buy Zachary brand thin mints at Dollar General. They are a dollar a box and it takes 2 boxes to make a batch of these cookies. There are other brands that will work with this recipe, such as Necco thin mints, that are available at other stores. It’s not so much the brand that is important, but the size of the mints. Ideal chocolate mints are thinner than the mini York peppermint patties and only about an inch or so in diameter. 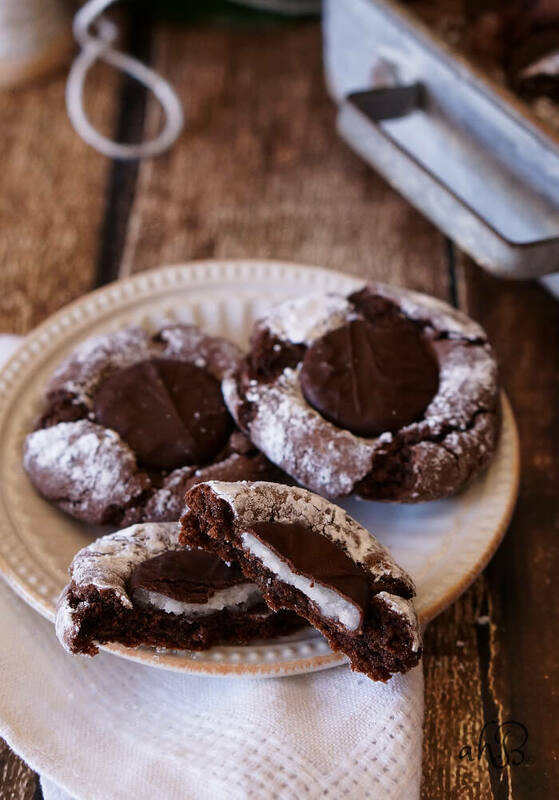 Mint middle fudge crinkles are soft and fudgy chocolate cookies that have a cool and creamy chocolate mint center. Combine the cake mix, shortening, eggs and water to make a stiff dough. Roll the cookie dough into 1 inch balls and then roll each ball through the confectioners sugar. Place 2-3 inches apart on an ungreased cookie sheet and bake for 8-10 minutes. Immediately after removing from the oven, carefully press one mint into the center of each cookie. Let rest for 2 minutes on the tray and then remove to a wire rack to cool completely. Makes me want to cook. It looks like a simple recipe, but I could mess up add water and stir.